My parents have a milk cow which means lots of fresh milk – sometimes close to 5 gallons a day! You can only drink so much milk before it ruins, so making lots of ice cream, cheese, and yogurt is the only obvious solution, right?? 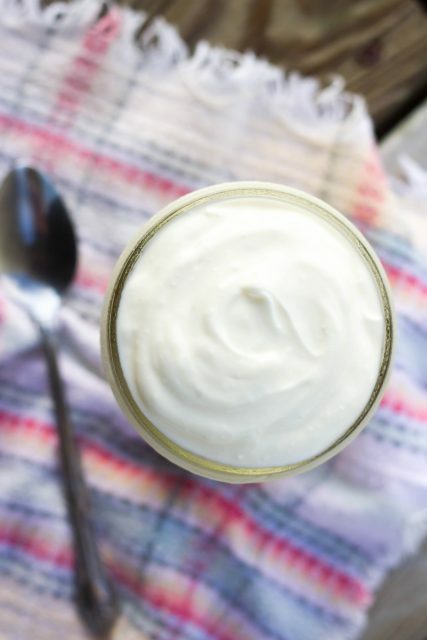 😉 Homemade yogurt is super easy to make as long as you have milk and a good kitchen thermometer (I recommend this one). 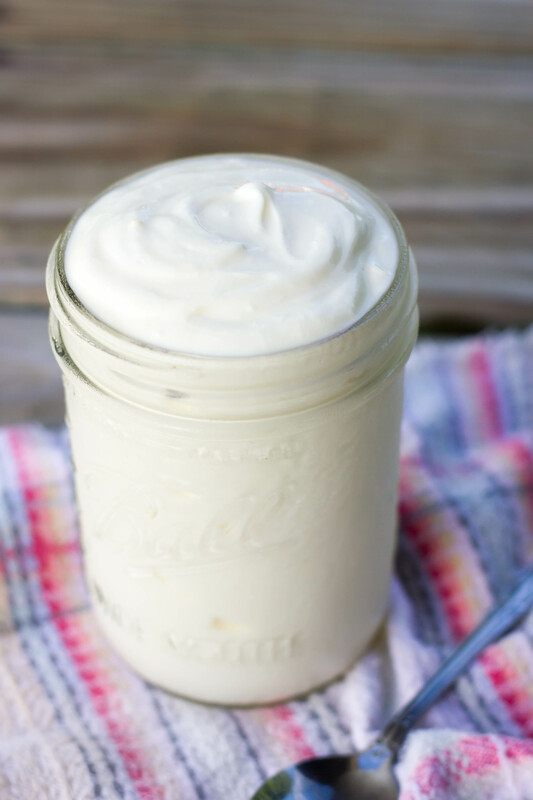 Heat your milk to 185 degrees, cool it down to 120 degrees, add your cultures, pour into jars, and incubate in a warm cooler for a few hours and you’ll have some the best yogurt ever! It’s really that easy. Top with some granola and you’ve got a killer breakfast. Give it a try and let me know what you think. Enjoy! 1. Pour one gallon of milk into a large, heavy bottomed stockpot or Dutch oven. Heat the milk to 185-190 degrees F.
2. Place the pot in a sink filled with cold water and let the milk cool to 120 degrees F.
3. Stir one cup of yogurt starter into the cooled milk, using a whisk. Stir well to ensure that the starter is thoroughly incorporated into the milk. 4. Pour the milk into 4 glass quart jars, and put the lids and rings on. Place them into a cooler. 5. Heat one gallon of water to 120 degrees F and pour into cooler. 6. Shut cooler lid and leave in a warm place for 3-5 hours. When time is up, place the yogurt in the refrigerator for at least 24 hours to firm up before you try to eat it.